Some links updated May 17, 2012 to reflect new pages on the Seminis site. I get so many emails asking if XYZ company is “safe” or if some list from some person is accurate, and lots of other questions, I actually don’t have time to answer them all, let alone do the research for dozens of specific companies and try to figure out if they really are safe seed or not. I did take a few hours today and compiled some information (which will eventually make it onto the Monsanto page) on facebook, which I’m turning into a blog post for readability. So, to answer the question, “is XYZ seed company safe?”: Well, I can’t say FOR SURE, but I can help you figure it out. Monsanto owns 2 seed brands for home gardeners: Seminis and De Ruiter. Seminis seems to be the main brand for the US & Canada, with De Ruiter in other parts of the world. When you’re visiting a seed company, there’s 2 things to ask – do they develop their own seeds, and if not, where do they come from; and are they (or where they get the seeds from), on this list (links to Seminis Home Garden dealers), or one of the others when you use the “Select a Location” drop down. If a seed company that is on this list (or linked to a company on this list) claims they sell no-GMO seeds, well, it is up to you to trust them and buy the “no-GMO seeds”, but my personal goal is to avoid all connections with Monsanto/Seminis. For specific seeds, you can see exactly what Seminis sells here (home garden varieties) or here (professional varieties). I am unsure if Seminis allows the end dealer to change the seed name, but it is a start. To be fair (even though I don’t need to be where Monsanto is concerned), it looks like not every seed they produce is GMO. Some appear to be traditional hybrids. Again, my personal goal is to avoid all connections with Monsanto/Seminis, so I avoid all the seeds on this list. A reader emailed me to ask if Victory Seeds in Molalla, Oregon is “safe.” At first glance, they do appear to be, but I did find at least two possible links to Seminis – a “Golden Acre” Cabbage, and a “California Wonder” pepper. I found this connection by using the link above. I opened up the Victory Seeds Cabbage page and Seminis’ Cabbage page, and on both, you can see links for “Golden Acre” cabbage. Same thing with the “California Wonder” pepper. I can’t say for sure that the seeds Victory Seeds sells are from Seminis (if they aren’t, they may want to change the name), but it is a strong enough connection that I would call and ask. Now, what if they are Seminis seeds? What if they a no-GMO variety? It’s up to you if you what you do. You can avoid the company all together, you can avoid just the Seminis linked seeds, you can buy the seeds if you trust they are non-GMO (and probably a few other options). It depends on the “level of separation” you want to create between you and GMO. Looks like they shut down access to the site you link to Seminis. You are very right, thanks for the heads up. Off to find new resources. Hi I’m a CT mom starting an anti GMO consumer email initiative. We had widespread bi-partisan support for a bill that would have required labeling of GMO’s in CT but it died because Monsanto threatened to sue the state if it passed. I’m fed up with corporate bullying (and the FDA, who behaves like a Monsanto employee and doesn’t give a hoot about our welfare.) I started a group on facebook and I’m rounding up 5,000 people to bombard one food manufacturer a week with emails to ask if they’re using genetically modified ingredients, express concerns about their safety and give them an earful. Almost 700 people from all over the country joined my campaign last week. I hope you’ll join us. It won’t take but a minute to cut and paste one email a week – together we are stronger and we can get this done. If the FDA won’t label it, we will! Great information on your site… many thanks! I should point out that there are NO G.E. seeds packaged for home gardeners at this time. Unfortunately, this fact gets left out, resulting in home gardeners scared of a threat that does not yet exist. Hi James, home gardener seeds are not currently GMO, and I have stated such in many places. 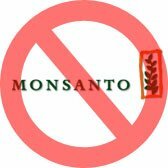 But many home gardener seed companies are supplied by Seminis/Monsanto, who lead the world in GMO seed. Supporting even one part of Seminis is support for GMO (hoping people can see the connection, but judging by a lot of comments and emails I am seeing, I don’t think people “get it” – pretty sad). I have found out that Abundant Life Seeds may not be so safe. They have merged with Terretorial who have Seminis as a supplier. That was a disappointment to me because I was about ready to make a purchase. I found Clear Creek Seeds from which I ordered instead. May I recommend Clear Creek Seeds – http://WWW.ClearCreek Seeds.com – as being an ethical place from which to purchase. Wow- I hadn’t even considered the GMO issue when purchasing seeds. I’m glad I saw this post! Thanks for the info, it certainly helps some of us make better-informed decisions. So, is Johnny’s still getting seed from Seminis? I have seen claims from them that they don’t, but read many contrary opinions otherwise. Can anyone confirm? Anyhow, recently I have found a company in Ohio called Ohio Heirloom Seeds who offers great prices& quantites on many heirlooms, including rare varieties (incl a few from Russia/Europe, which are not always so easy for us Yanks to get). I have yet to order from them (I am poor as dirt), but the reviews on Dave’s Garden and amazon mostly seem glowing. Also they seem to have won some Garden Watchdog awards for Top 5 Tomato varieties. Went with Martha’s recommendation and tried Clear Creek Seeds. Very impressed. Everything arrived well packed and in just three days. Always like working with home run businesses. Just seem to get better service. Hi Amy I have a question for you. I was about to place a large order from Pinetree as they are on the safe seed pledge list. However I came across your site and see that they may get their seeds from Monsanto. As you do I get/see the ‘connection’. I will not purchase (knowingly anyway, they are sneaky!) any seeds that come from Monsanto, their owned companies or their affiliates. How were you able to ascertain that they actually do buy from Monsanto, etc.? I have emailed them, but as I just did that I haven’t gotten a response back yet. Thank you! Pinetree purchases seed from Seminis (owned by Monsanto). Here’s a page with the connection, and a list of their Seminis seeds. My goal is to avoid any company with ANY connection to Monsanto, so they are a big do not buy from.